Exterior Open Ceilings are the ideal solution for designers wishing to create a striking design, without compromising the sense of a spacious environment. Open ceilings can create a range of appearances, depending on the angle they are viewed from. This adds an additional level of interest to the ceiling void. 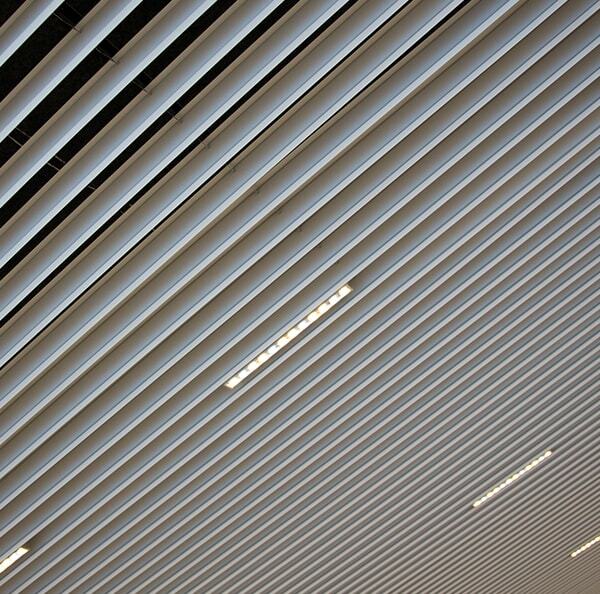 Open Ceilings are developed using vertical panels to create segmentation and gaps in the ceiling void. The vertical panels add colour and a directional effect to the ceiling. The space between the panels gives the illusion of an open feel, adding space and dimension to the ceiling area. Panels can be used in a wide range of applications providing architects with the freedom to design a special finish to the ceiling void. As open ceilings are created using panels, different layouts, colours, panel sizes and joints can create a whole range of designs. Vertical panels are designed to dimensionally enhance the ceiling plane. You can use an open ceiling to add visuals lines and patterns, without giving your space a ‘closed off’ feel. Luxacote® is an exclusive Hunter Douglas innovation. This coating consists of 3 expertly put together layers. These form a long lasting coat making them corrosion, abrasion and scratch resistant. 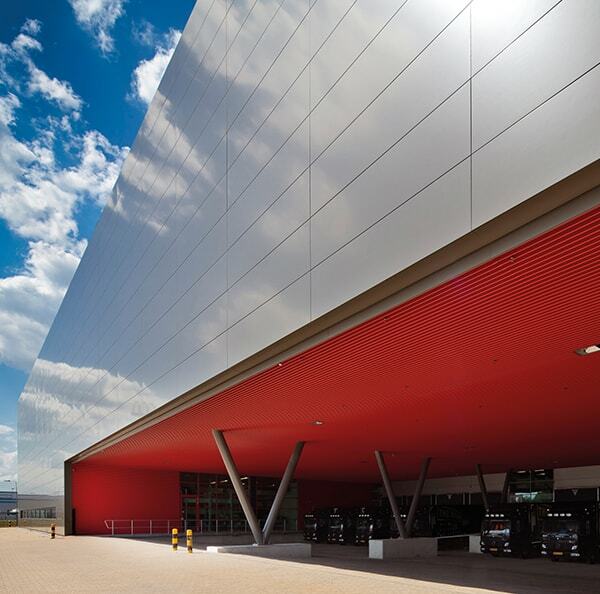 This topcoat enhances the durability of exterior aluminium for building applications. 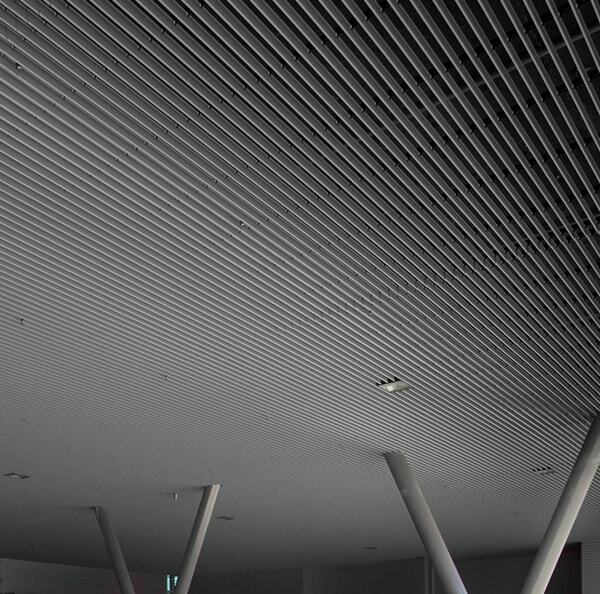 Our ceiling panels are available in a wide range of colours. Exterior Open Ceilings offer enhanced design using state of the art systems. A multitude of designs can be achieved, giving architects real design freedom, allowing them to bring their visions to life. Be sure to browse our product gallery for further inspiration. Use the filters below to browse our full selection of Open Ceilings Products.